With Booking Entertainment, booking big name entertainment for your Christmas party is available to anyone, anywhere in the world. Whether your goal is to surprise your guests or advertise your entertainment to build anticipation, booking big name acts for your Christmas party ensures the success of your event. For almost twenty years, Booking Entertainment has been providing full service turnkey concerts for clients looking to book headline entertainment for their Christmas parties, providing everything necessary in one, "no surprise" price. 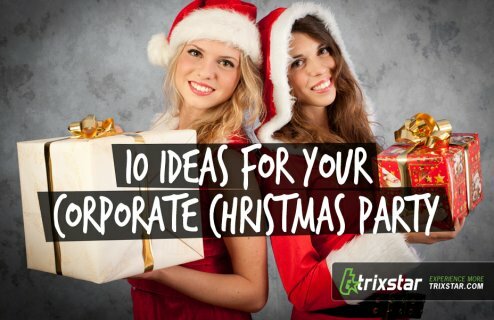 From The Beach Boys to Sheryl Crow, Hulk Hogan to Jimmy Fallon, almost any act is available to help make your Christmas party a memorable and entertaining event. No matter the location, all of the same pieces go in to putting on a concert at your Christmas party. These pieces include not only an onsite team to produce the musical portion of the event, but also flights, ground transportation, hotel accommodations, backline equipment, staging, sound, lights, fees, per diems, and misc. rider requirements. With all of these responsibilities handled flawlessly by Booking Entertainment, you can relax and enjoy your favorite act with your guests. In the past, the biggest challenge for individuals preparing for a Christmas party has always been identifying whom to call to book big name entertainment for the event. But now clients can fill out a simple Entertainment Request Form, available right on www.bookingentertainment.com, and provide all the details about their Christmas party. An agent will return contact within 24 hours to answer any additional questions and discuss the process fully. The agent will return with a turnkey price for all the details mentioned above once the best entertainment option has been selected. At this point, clients can confirm that they want to move forward and send the formal offer. Upon acceptance of the offer by the act, contracts are issued and all else is handled by Booking Entertainment. It's that simple. Booking Entertainment has enjoyed almost twenty years in the business, and we are eager and excited to create an unforgettable experience for your Christmas party by helping you to coordinate the biggest names in entertainment, anywhere worldwide, for event. Booking Entertainment conducts nearly all of its business at the private and corporate level. We can handle just the contracting of the talent, in the role of an agent, or we can also handle the entire entertainment portion of your event, as would a producer, and provide a turnkey, fully produced live event at the location of your choice, anywhere worldwide. An on-site producer to coordinate the entertainment portion of the evening.